Good Afternoon! This past weekend I had the pleasure of traveling to see my sophomore daughter at college. She has joined a sorority this semester and has the honor of being a Kappa Kappa Gamma girl. She was kind enough to host me in her apartment and indulge in movie night on Friday! Man, am I spoiled! We had a wonderful time with all of her sorority sisters. We had dinner on Friday night at the Union and yoga on Saturday at the house. It was so much fun spending time with her and her friends. They are so much fun and such a good time. 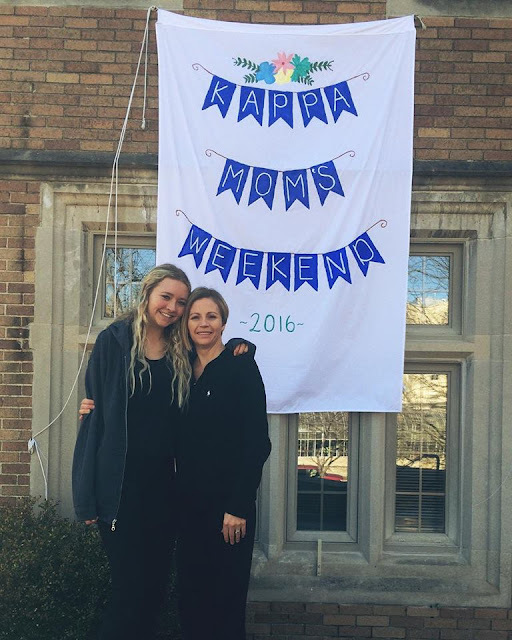 Thanks to Kappa Kappa Gamma for this great weekend and to my daughter for being such an awesome host! Tell Olivia I said it was so rich! Have a great rest of the weekend! God bless!